Wellways to Work is a six-session peer education program developed for, and by people with a lived experience of mental illness. It is designed to support people with a lived experience who are interested in taking steps towards work and/or study. The program provides up-to-date information about mental illness, recovery and employment. The facilitators all have a lived experience of mental illness and are trained and accredited to deliver the program. The program helps participants build confidence and practical skills in a supportive peer-group setting. Wellways to Work consists of six weekly sessions. Each session runs for three hours and involves informal but structured learning, group discussions, videos, practical demonstrations and problem solving. The program design was based on international best practice and research about mental health, recovery and employment. NDIS plan can be used to attend Wellways to Work. 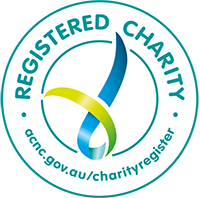 Limited subsidised places are available for people not eligible for NDIS.